This is part of Pueblo Bonito at Chaco Canyon, New Mexico. 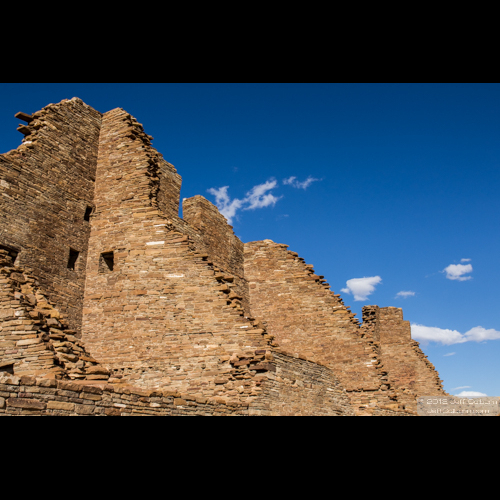 There are many ruins at Chaco Canyon, but Pueblo Bonito is my favorite. That’s due to its large size, well preserved buildings, and there are so many rooms you can go into.